I don’t take bashing any game lightly. Obviously, people put hard work into making the game. But Amy is about as big of a miss as I’ve seen in I don’t know how long. 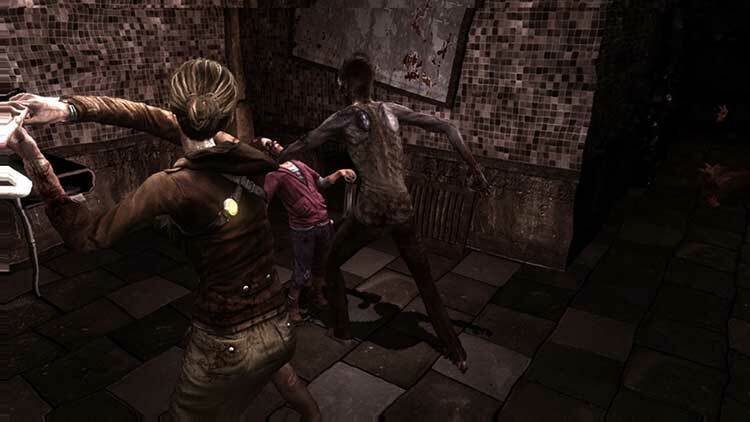 Amy purports itself to be survival horror, but the only surviving you’ll be doing is trying to make sense of the muddled gameplay mess laid before you as you’re “scared” by the same gimmicky frights, like bursting gas pipes and falling portraits, over and over again. Regardless of one's stance on horror games, however, the simple fact is that AMY is a disgusting joke of a videogame. Rare is the time when I feel emotionally compelled to warn gamers against purchasing a game (let alone a ten dollar one), but for me to not use every ounce of strength I have to condemn this piece of software would be socially irresponsible. The sixth chapter ends with only a minor plot payoff and sets up the story for Amy II with a baffling optimism you won't share for Amy's future. Amy has some interesting ideas, not least the pairing of a fight-averse female lead with a fragile but powerful little girl. It's a pity these aren't enough to sustain it through hours of substandard survival horror. The graphics engine looks like it was developed for the previous console generation, there are inexplicable moments where the framerate suddenly drops and the game stutters hard (often during your attacks), the enemy AI is just bad enough to be hyper-deadly. Yet none of that is important - what’s important is that AMY is just no fun to play and, not only that, is actually really unpleasant a huge percentage of the time. Amy is both a throwback and a runt, with meager cult appeal. 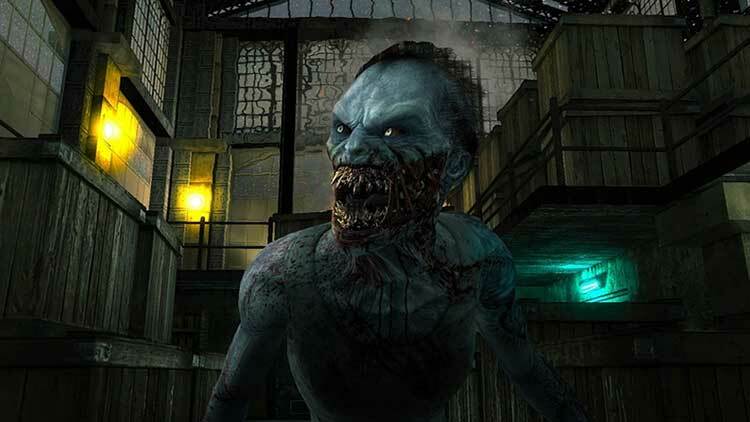 The low price point will bait dedicated horror enthusiasts tired of Resident Evil and Dead Space’s recent action motifs, but the horror here comes from the code, not the context. 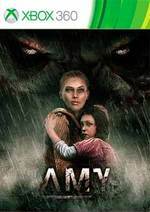 Worst of all for a game hoping to sell itself on scares, Amy is never frightening. Instead, its horrors are derived from the game’s shoddy execution, weak puzzles and frustrating play rhythms, a nest of poor game design decisions through which disappointment, not fear, are hatched. In the end, and despite my best judgment, several hours of experimentation with the fifth chapter's idiotic rules left me with little aside from increased blood pressure and an overwhelming longing for a disc version of Amy to snap in half. Pick something to hate about videogames, and Amy has it. Graphics glitches, lousy design, repetitious gameplay, mushy controls, bad acting, horrible save system ... it's all there. The game's few good ideas simply aren't enough to suffer through the amount of crap surrounding them. The game has no point, is extremely disorganized, and controls like three blind mice on Mars. Pretty much everything available on the Xbox LIVE Arcade and PlayStation Network is better than this. In fact I think staring at a wall would be a better way to spend your time, as boring definitely beats frustration in this case. Sure, you may think you've seen bad games before, or can handle frustratingly bad game design. 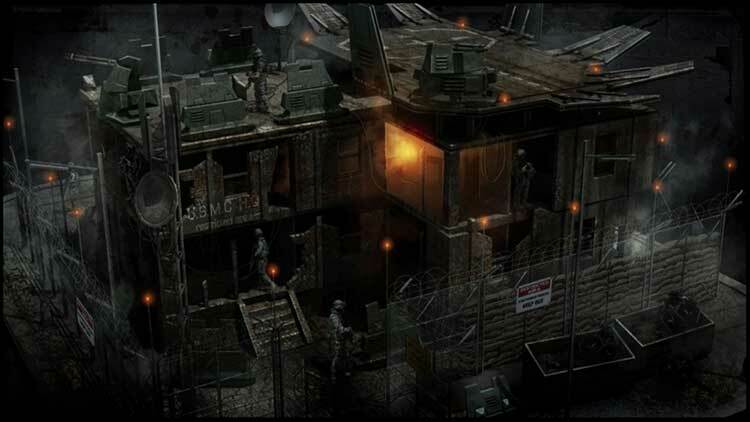 Much as it pains me to slate a new survival horror IP, some things aren't worth surviving. Amy is a travesty from start to finish, a game that plainly admires but fatally misunderstands its peers. Save yourself an infinity of soul-crushing distress, and forget you ever heard about it. Selten hat mich ein Abenteuer gleichzeitig so fasziniert und frustriert. Amy hat starke Momente, die eindrucksvoll demonstrieren, wie unterentwickelt die Spielwelt auf emotionaler Ebene ist - und genau das rettet es für mich gerade auf ein befriedigendes Niveau. Aber so sehr ich diesen subtilen Ansatz im Horror schätze, so wichtig gerade die Beziehung zwischen Figuren ist: Leider überwiegen letztlich die Momente des Ärgers über die Steuerung, die langatmige Inszenierung, die KI-Inkonsequenzen und zu viel Trial&Error;. Le problème est qu'Amy pèche sur pratiquement tous les autres aspects, des éléments indispensables non seulement à un confort de jeu mais surtout à un plaisir. 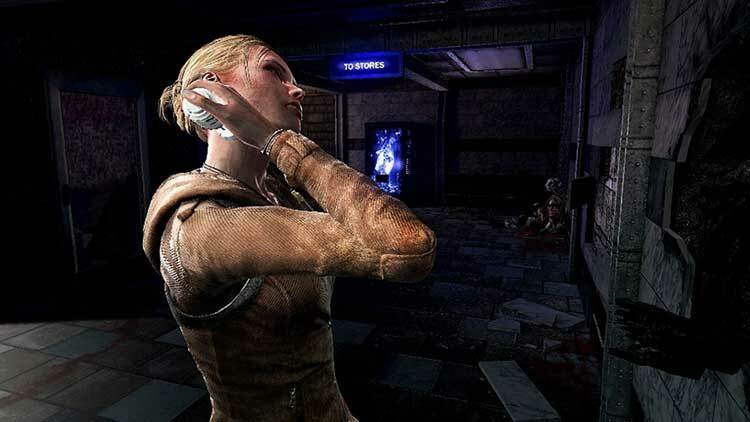 Chaque qualité est immédiatement prise en défaut et malgré son feeling de ICO sauce Silent Hill, le jeu de VectorCell amène une frustration qui le sépare trop vite de ses illustres inspirateurs. Ce n'est pas facile d'émettre un jugement bien tranché sur ce fameux AMY. Certes, le jeu se base sur d'excellentes idées et il parvient à rendre au survival-horror le sentiment de détresse et d'insécurité qui faisait tout son charme. Mais il propose aussi un gameplay d'une incroyable lourdeur qui ferait sortir hors de ses gonds même le joueur le plus calme du monde. A rendere il tutto ancor più insopportabile ci pensano poi un comparto tecnico dell'anteguerra, un pessimo frame-rate, con rallentamenti inspiegabili anche nei frangenti più tranquilli, svariati enigmi senza senso caratterizzati da attività banali e tremendamente noiose, ed inquadrature ballerine che sembrano essere state realizzate con il chiaro intento di suscitarci blasfemie di ogni genere lungo tutto il corso dell'esperienza.